Prosecutors presented Tuesday afternoon what they say is another example of gifts the former first couple of Virginia accepted from a businessman who says he sought their help promoting his product. 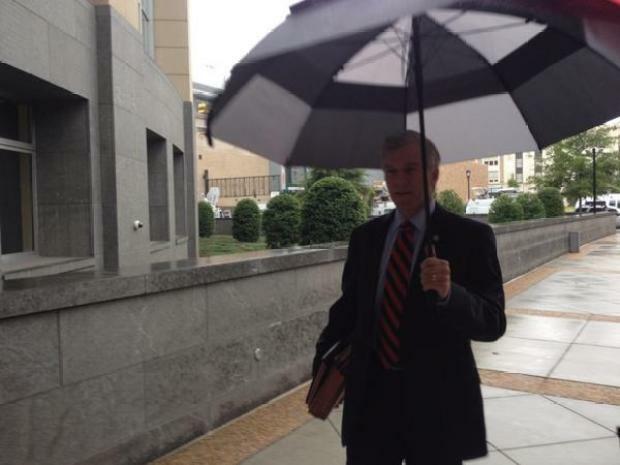 Former Star Scientific CEO Jonnie Williams’ brother Donnie testified he worked at Bob and Maureen McDonnell’s private home about a dozen times in 2012 and 2013. Once the investigation into Jonnie Williams’ gifts began, Maureen McDonnell asked for an invoice and paid up, Donnie Williams testified. Before the investigation became public, Maureen McDonnell did not pay him for anything, Donnie Williams said, but she offered to pay for his work several times. Prosecutors also questioned the Virginia State Police special agent who first questioned the Maureen McDonnell about some of the checks from Jonnie Williams. Kilgore, who left office in 2005, was hired by Williams in 2011 to try to find state money to do research on the dietary supplement, Anatabloc. Kilgore testified he proposed a two pronged plan: getting grant money from the tobacco commission or convincing the governor to add a request for research funds to his state budget proposal. So far, the jury has heard from more than 25 prosecution witnesses. Among them is Williams himself, who was granted immunity by the government in exchange for his cooperation. He testified that he spent lavishly on the McDonnells solely to secure their help. On Friday, a former Star Scientific executive described support from the McDonnells as a helpful "halo effect" at first, but said he didn't know that Williams was giving gifts to the McDonnells until 2013, when the investigation began. Paul Perito, who served as Star Scientific's board chairman when Williams was CEO, said Williams was "on cloud nine" after the August 2011 luncheon at the governor's mansion on the day Star Scientific launched the supplement Anatabloc. Even though Bob McDonnell arrived late, Perito said the governor's presence provided "gravitas" for the company. He had a much different thought in early 2012, when Williams asked him whether Maureen McDonnell could join Star Scientific's board of directors.